I will be honest, I am not Mr. Flowcharts which is really who Lucid Charts is directed towards. Even so Lucid Chart offline app and the Lucid Diagram Google Doc add on are pretty cool. I am using the same group account (teacher / student) that I used earlier for Lucid Press. When you go to the Chrome Store there will be a variet of options, I chose the one with offline access. I was really impressed with the functionality and think its great it can be used online and offline. Again, the first thing I changed was it syncing to Google Drive for all charts not just those created from Google Drive itself. You can actually search Google for images and insert them into your document. You even have an option to limit the results to commercial use which is great for more professional charts. Be warned that this can greatly reduce your image results. 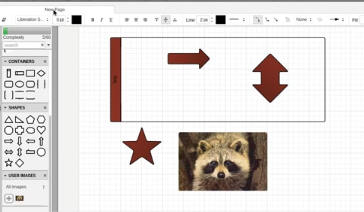 I think the Lucid Diagram add on for Google Docs is great way to integrate Lucid Chart into Google Drive. I was able to save the document I created in Lucid Chart and insert it directly into my Google Doc. This is exactly the type of integration we need when working in the clouds.